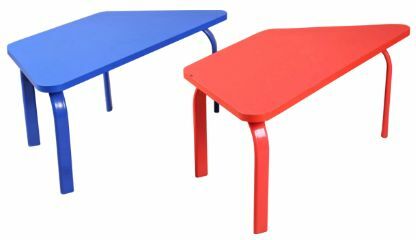 Alkosign introduces range of school furniture which are strong sturdy and comfortable for students. 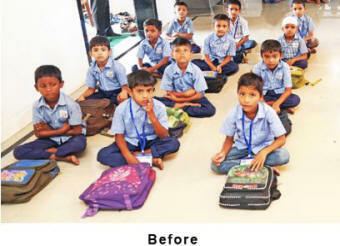 Now no more sitting on the Floor with books on the lap. 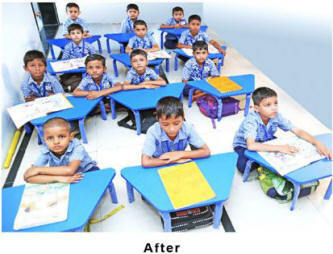 Desks for children are made in two sizes small and big. Tops are prelam MDF 18mm thick with PVC edge banding. All corners are well rounded. Steel frame is of heavy gauge oval pipe of size 35mm x 15mm with plastic shoes.